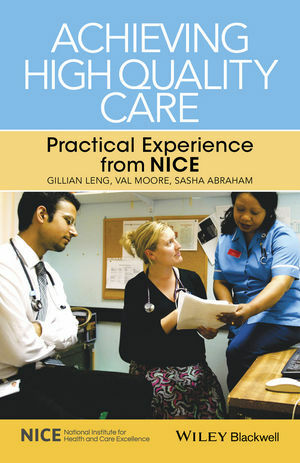 Drawing on the experience of the National Institute for Health and Care Excellence (NICE), Achieving High Quality Care is a practical guide on how to recognise and implement high quality evidence and guidance. This new title provides an overview of the evidence behind successful initiatives designed to change practice and improve the quality of health care. It provides an overall picture of change management, from understanding the barriers to change to how these barriers can best be overcome. It presents a concise summary of the evidence for change, plus examples of specific initiatives drawn from experience of putting NICE guidance into practice. The book includes a wide range of examples of positive change - plus key practical points highlighted throughout the text - to help readers achieve improvements in patient care. Finally, it shows how to measure change, assess improvement to agreed standards and to manage the ongoing process of change towards improving health care. Achieving High Quality Care is a helpful guide for busy health care professionals wanting to improve services and patient care. It is relevant to everyone involved in the organisation and provision of quality health care, including clinicians and health care managers, who are trying to lead change and improve care through implementing evidence-based guidance.